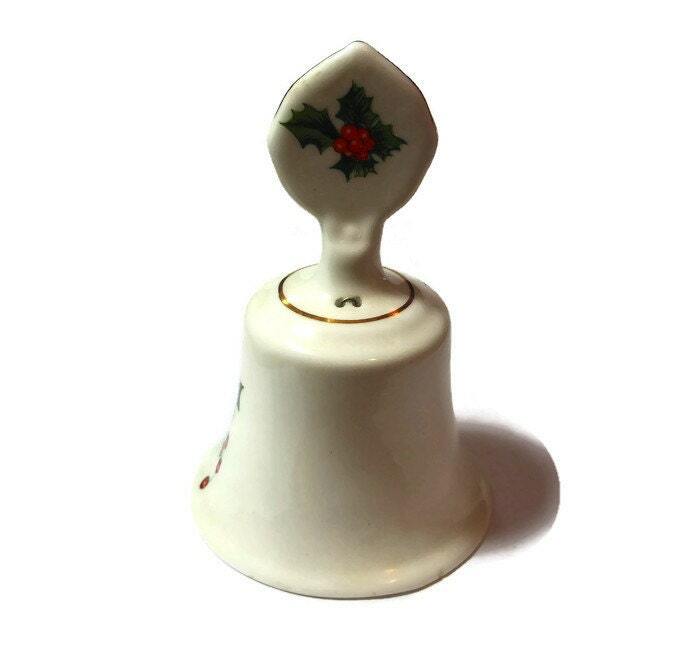 Royal Kendall fine bone china Christmas poinsettia holiday bell made in England. 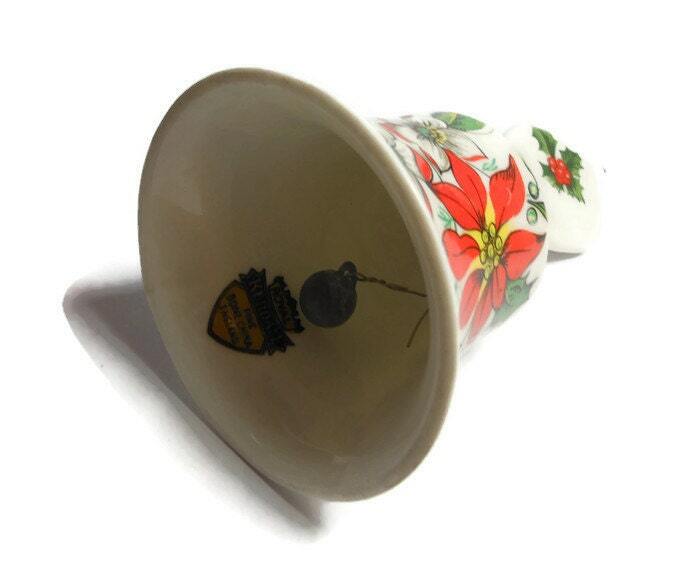 Royal Kendall fine bone china Christmas poinsettia holiday bell made in England. 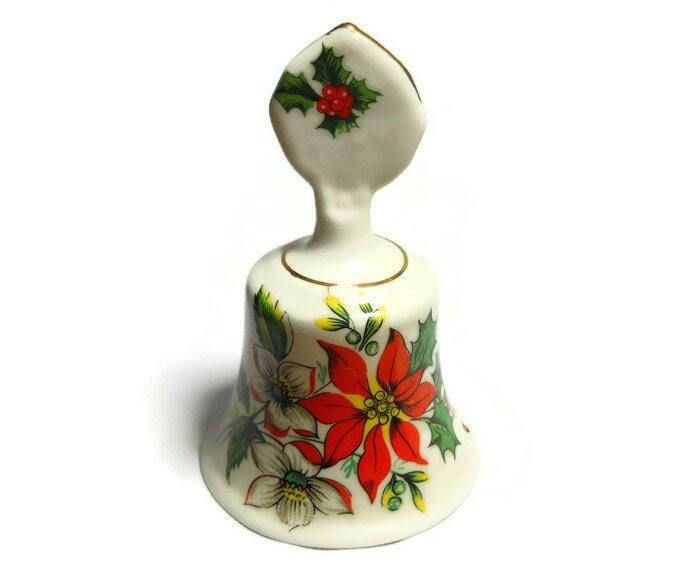 Lovely vintage bell, very rare. It appears that the poinsettias on the handle are off center, whether on purpose or mis-stamped is not clear. 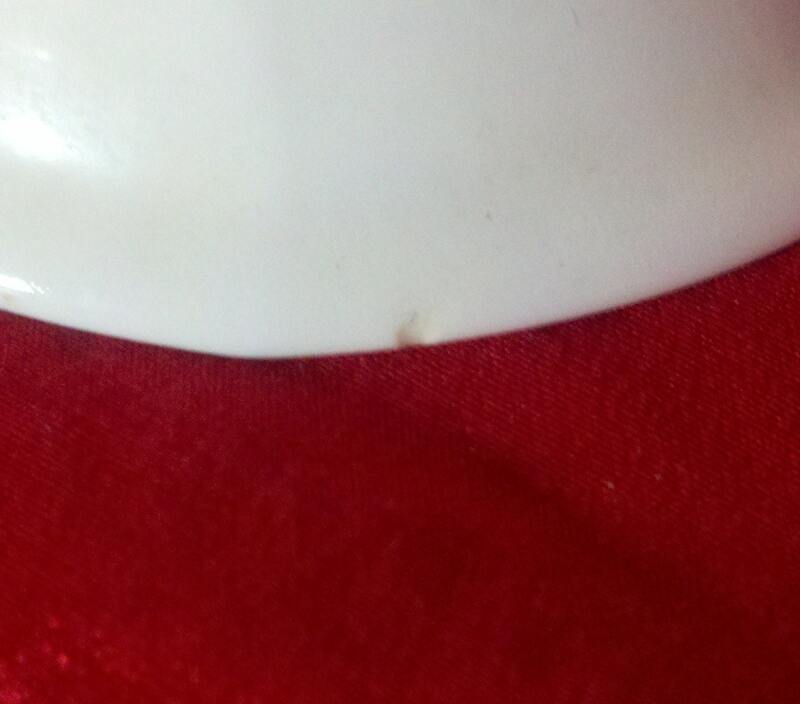 The gold rim is rubbed in one spot and there is a small chip to the bottom (see photo) and the bottom does have some rubbing from sitting on shelf.